A burr left on a metal part – or flash on a molded one – not only sends a message of poor quality, it can cause serious problems down the road. If it breaks off later inside a fuel injector or other critical part, it can cause clogs or damage that can affect performance. 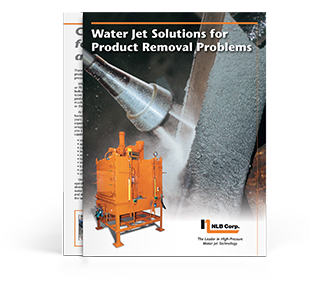 High-pressure water jets trim precisely and flush the debris away, all in one step. They can even remove burrs and flash in areas not reachable by mechanical methods. One NLB customer deflashes 100,000 parts a day in a custom cabinet with a robot and indexing table. 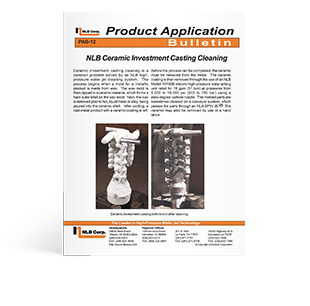 Learn more about using water jets to remove casting material. 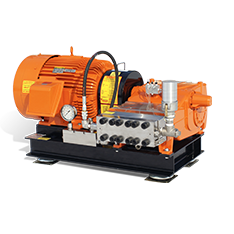 Electric pump units are commonly used for in-plant applications.